Pindar (/ˈpɪndər/; Greek: Πίνδαρος Pindaros, pronounced [píndaros]; Latin: Pindarus) (c. 522 – c. 443 BC) was an Ancient Greek lyric poet from Thebes. Of the canonical nine lyric poets of ancient Greece, his work is the best preserved. Quintilian wrote, "Of the nine lyric poets, Pindar is by far the greatest, in virtue of his inspired magnificence, the beauty of his thoughts and figures, the rich exuberance of his language and matter, and his rolling flood of eloquence, characteristics which, as Horace rightly held, make him inimitable." His poems however can also seem difficult and even peculiar. The Athenian comic playwright Eupolis once remarked that they "are already reduced to silence by the disinclination of the multitude for elegant learning". Some scholars in the modern age also found his poetry perplexing, at least until the 1896 discovery of some poems by his rival Bacchylides; comparisons of their work showed that many of Pindar's idiosyncrasies are typical of archaic genres rather than of only the poet himself. His poetry, while admired by critics, still challenges the casual reader and his work is largely unread among the general public. He was probably born in 522 BC or 518 BC (the 65th Olympiad) in Cynoscephalae, a village in Boeotia, not far from Thebes. His father's name is variously given as Daiphantus, Pagondas or Scopelinus, and his mother's name was Cleodice. It is reported that he was stung on the mouth by a bee in his youth and this was the reason he became a poet of honey-like verses (an identical fate has been ascribed to other poets of the archaic period). 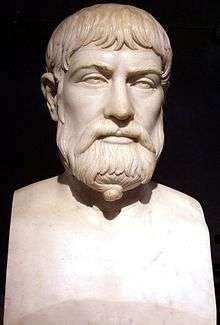 Pindar was about twenty years old in 498 BC when he was commissioned by the ruling family in Thessaly to compose his first victory ode (Pythian 10). He studied the art of lyric poetry in Athens, where his tutor was Lasos of Hermione, and he is also said to have received some helpful criticism from Corinna. Pindar might not actually claim to be an Aegeid since his 'I' statements do not necessarily refer to himself. The Aegeid clan did however have a branch in Thebes, and his reference to "my ancestors" in Pythian 5 could have been spoken on behalf of both Arcesilas and himself – he may have used this ambivalence to establish a personal link with his patrons. 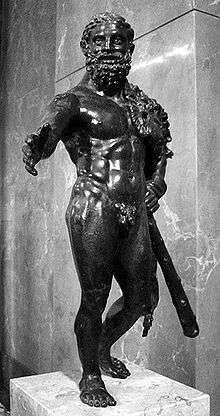 He was possibly the Theban proxenos or consul for Aegina and/or Molossia, as indicated in another of his odes, Nemean 7, in which he glorifies Neoptolemus, a national hero of Aegina and Molossia. According to tradition, Neoptolemus died disgracefully in a fight with priests at the temple in Delphi over their share of some sacrificial meat. Pindar diplomatically glosses over this and concludes mysteriously with an earnest protestation of innocence – "But shall my heart never admit that I with words none can redeem dishonoured Neoptolemus". Possibly he was responding to anger among Aeginetans and/or Molossians over his portrayal of Neoptolemus in an earlier poem, Paean 6, which had been commissioned by the priests at Delphi and which depicted the hero's death in traditional terms, as divine retribution for his past crimes. Some doubt this biographical interpretation of Nemean 7 since it is largely based on marginal comments by scholiasts and Pindaric scholiasts are often unreliable. The fact that Pindar gave different versions of the myth may simply reflect the needs of different genres, and does not necessarily indicate a personal dilemma. Nemean 7 in fact is the most controversial and obscure of Pindar's victory odes, and scholars ancient and modern have been ingenious and imaginative in their attempts to explain it, so far with no agreed success. Pindar's actual phrasing in Pythian 11 was "I deplore the lot of tyrants" and though this was traditionally interpreted as an apology for his dealings with Sicilian tyrants like Hieron, an alternative date for the ode has led some scholars to conclude that it was in fact a covert reference to the tyrannical behaviour of the Athenians, although this interpretation is ruled out if we accept the earlier note about covert references. According to yet another interpretation Pindar is simply delivering a formulaic warning to the successful athlete to avoid hubris. It is highly unlikely that Pindar ever acted for Athenians as their proxenus or consul in Thebes. It was assumed by ancient sources that Pindar's odes were performed by a chorus, but this has been challenged by some modern scholars, who argue that the odes were in fact performed solo. It is not known how commissions were arranged, nor if the poet travelled widely: even when poems include statements like "I have come" it is not certain that this was meant literally. Uncomplimentary references to Bacchylides and Simonides were found by scholiasts but there is no reason to accept their interpretation of the odes. In fact some scholars have interpreted the allusions to fees in Isthmian 2 as a request by Pindar for payment of fees owed to himself. His defeats by Corinna were probably invented by ancient commentators to account for the Boeotian sow remark, a phrase moreover that was completely misunderstood by scholiasts, since Pindar was scoffing at a reputation that all Boeotians had for stupidity. Pindar doesn't necessarily mean himself when he uses the first person singular. Many of his 'I' statements are generic, indicating somebody engaged in the role of a singer i.e. a 'bardic' I. Other 'I' statements articulate values typical of the audience, and some are spoken on behalf of the subjects celebrated in the poems. The 'I' that received the prophecy in Pythian 8 therefore might have been the athlete from Aegina, not Pindar. In that case the prophecy must have been about his performance at the Pythian Games, and the property stored at the shrine was just a votive offering. Pindar's house in Thebes became one of the city's landmarks. Alexander the Great demolished the city as punishment for its resistance to Macedonian expansionism but he left the house intact out of gratitude for verses praising his ancestor, king Alexander I of Macedon. His view of the gods is traditional but more self-consistent than Homer's and more reverent. He never depicts gods in a demeaning role. He seems indifferent to the intellectual reforms that were shaping the theology of the times. Thus an eclipse is not a mere physical effect, as contemplated by early thinkers such as Thales, Anaximander and Heraclitus, nor was it even a subject for bold wonder, as it was for an earlier poet, Archilochus; instead Pindar treated an eclipse as a portent of evil. [nb 3] Gods are the embodiment of power, uncompromisingly proud of their nature and violent in defense of their privileges. There is some rationalization of religious belief, but it is within a tradition at least as old as Hesiod, where abstractions are personified, such as "Truth the daughter of Zeus". Sometimes the wording suggests a belief in 'God' rather than 'a god' (e.g. "What is God? Everything"),[nb 4] but the implications are not given full expression and the poems are not examples of monotheism. Nor do they vocalize a belief in Fate as the background to the gods, unlike the plays of Aeschylus for example. Pindar subjects both fortune and fate to divine will (e.g. "child of Zeus...Fortune"). Being descendents of divine unions with privileged mortals, mythical heroes are an intermediate group between gods and men, and they are sympathetic to human ambitions. Thus, for example, Pindar not only invokes Zeus for help on behalf of the island of Aegina, but also its national heroes Aeacus, Peleus and Telamon. Unlike the gods, however, heroes can be judged according to ordinary human standards and they are sometimes shown in the poems to demean themselves. Even in that case, they receive special consideration. Thus Pindar refers obliquely to the murder of Phocus by his brothers Peleus and Telamon ("I am shy of speaking of a huge risk, hazarded not in right"), telling the audience that he will not talk of it ("silence is a man's wisest counsel"). [nb 6] The Theban hero Heracles was a favourite subject but in one poem he is depicted as small in order to be compared with a small Theban patron who had won the pankration at the Isthmian Games: a unique example of Pindar's readiness to shape traditional myths to fit the occasion, even if not always flattering to the mythical hero. A hero's status is not diminished by an occasional blemish but rests on a summary view of his heroic exploits. 1 book of humnoi – "hymns"
C codex Parasinus graecus 2774 silk 23×15 cm 14th century Comprises odes Olympian 1 to Pythian 5, including some unique readings but also with many Byzantine interpolations/conjectures (Turyn rejected this codex accordingly), and written in a careless hand. V codex Parasinus graecus 2403 silk 25×17 cm 14th century Comprises odes Olympian 1 to Nemean 4, including some verses from Nemean 6; like G, useful for supporting and verifying B. ↑ There are several other accounts of supernatural visitations relating to Pindar (see for example C.M. Bowra, Pindar, pages 49-51). According to a scholium, he and a pupil, Olympichus, once saw a mysterious flame on a mountain, attended by strange noises. Pindar then beheld Rhea, the Mother of the Gods, advancing in the form of a wooden image. Pausanias (9.25.3) reported that he set up a monument near his home, dedicated conjointly to Pan and the Mother of the Gods (Δινδυμήνη). According to Eustathius (Proem. 27, p. 298. 9 Dr) and Vit. Ambr. (p. 2. 2 Dr.), Pan was once heard between Cithaeron and Helicon singing a paean composed to him by Pindar (fr. 85). ↑ Lawrence Henry Baker (1923). "Some Aspects of Pindar's Style". The Sewanee Review. 31 (1): 100–110. JSTOR 27533621. ↑ Lloyd-Jones, Hugh (1982). "Pindar". Proceedings of the British Academy. 68: 139–163 (145). ↑ Hubbard, T. K. (1992). "Remaking Myth and Rewriting History: Cult Tradition in Pindar's Ninth Nemean'". HSCP. 94: 77–111 . JSTOR 311420. ↑ Woodbury, Leonard (1979). "Neoptolemus at Delphi: Pindar, Nem.7.30ff". Phoenix. 33 (2): 95–133. doi:10.2307/1087989. JSTOR 1087989. ↑ M.M. Willcock: Pindar: Victory Odes (1995). Cambridge University Press, p. 3. ↑ Lucas, F. L. Greek Poetry for Everyman. Macmillan Company, New York. p. 262. ↑ Miroslav Marcovich (1982). "Alexander Turyn". Gnomon. 54 (1): 97–98. JSTOR 27688007. Bowra, C.M (1964). Pindar. Oxford University Press. ISBN 0-19-814338-9.